On my birthday eve last week, I decided I finally had reason enough to try out a new brownie recipe that contains no flour and relies on almond butter and greek yogurt as the base. 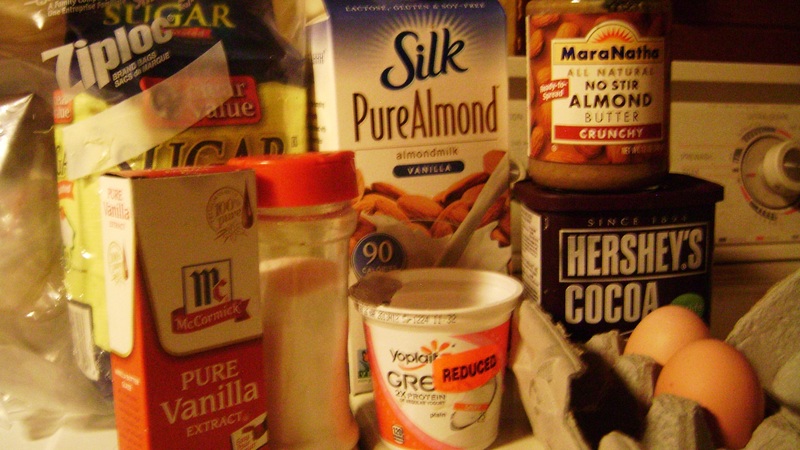 I played around with the original recipe, because I was hesitant to use all the almond butter it called for, one because the potential for creating a calorie bomb, and two, because I can only get almond butter when I go grocery shopping out of town, and didn’t want to use all mine up! I would definately make this recipe again how I did, I woudn’t change a thing. 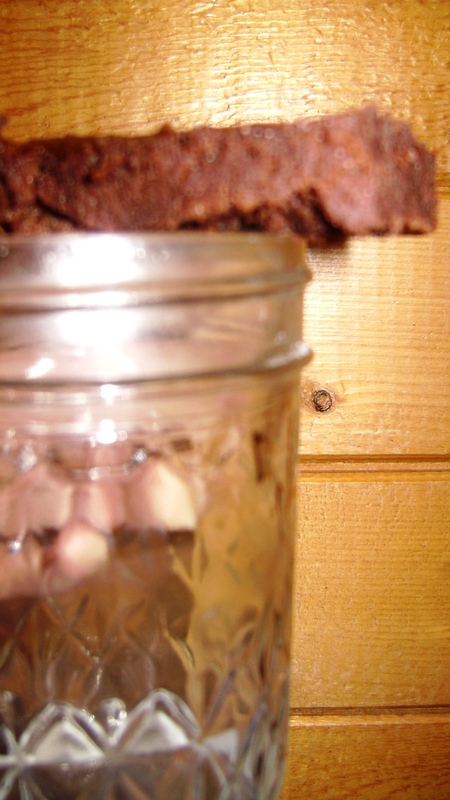 Some “healthified” brownie recipes I have tried in the past have wound up being a far cry from a real brownie. The almond butter in these brownies makes them very rich– although they are relatively low-carb and high in protein for a brownie. After having one while still warm and one on my birthday, I froze the rest. They are even better frozen! It tastes like eating a square of rich chocolate fudge. 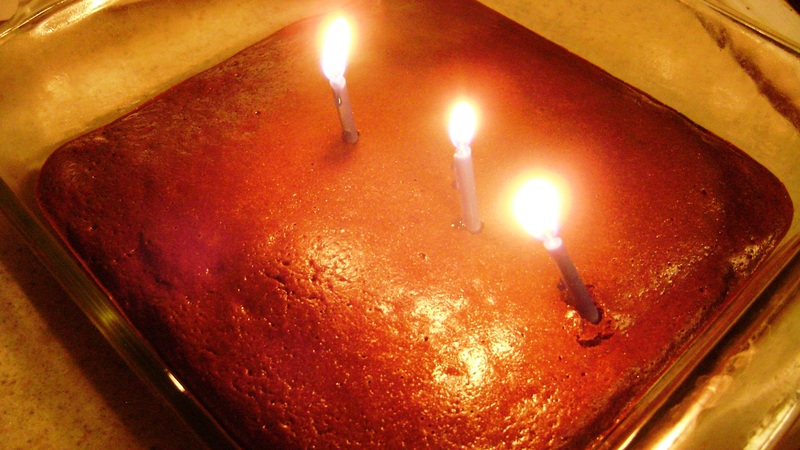 These make a nice healthy snack, especially if you need a little kick in the pants or a birthday treat. Preheat oven to 350. Spray an 8×8 inch pan with cooking spray and wipe off excess with paper towel. Whisk together almond butter, milk, eggs, vanilla, salt, and yogurt. Add the cocoa powder and sugar. Pour into pan and bake for 20-25 minutes. I pulled mine out after 22, but like them a little soft. Enjoy with a glass of cold milk. Freeze leftovers if desired. Yum! just made this and they are good, sad that they are so thin but that is just the way it is. they are my new brownies. finally I found some I can eat. thank for sharing. anyone doubled this I wasn’t sure if it would still work? Glad you enjoyed them! 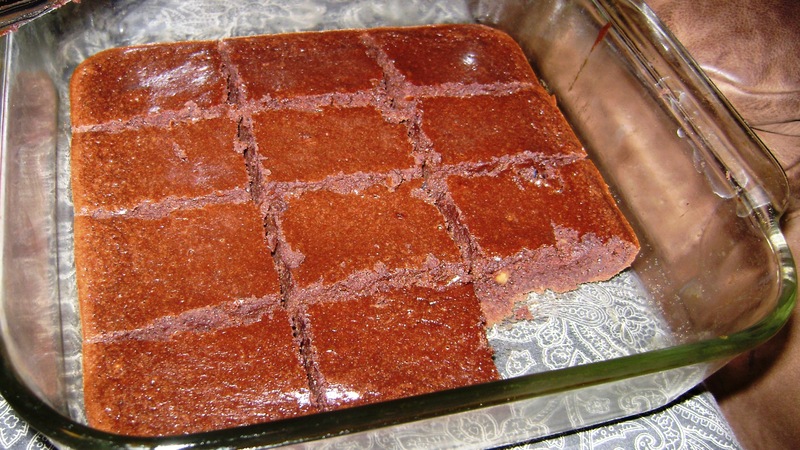 The recipe does make a thinner brownie, I haven’t tried doubling the recipe but I don’t see why it would not work, they may require a few extra minutes of cooking time perhaps.